At CPAP America, we are proud to be a one-stop-shop for all your sleep apnea questions and concerns. And when something hits the market which could benefit our customers, we would be remiss in not telling them so. 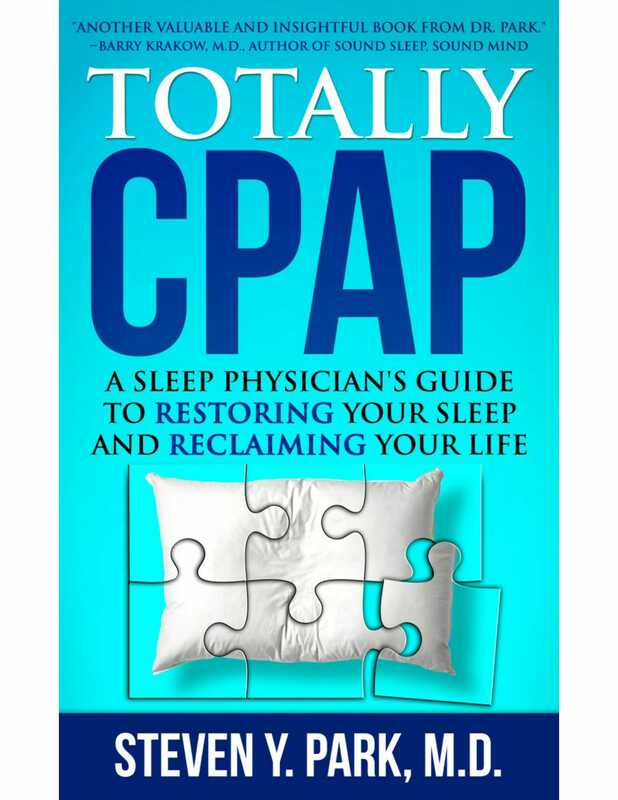 If you’re currently struggling with your CPAP therapy, the new book, Totally CPAP: A Sleep Physician’s Guide To Restoring Your Sleep And Reclaiming Your Life, by Steven Y. Park, M.D., might be exactly what you need to get yourself on the right track to regaining healthy sleep with your CPAP machine. In Totally CPAP, Dr. Park, a New York-based surgeon and author of the popular book Sleep Interrupted, reveals the characteristics of successful CPAP users through a step-by-step process, which is divided amongst three sections and 10 chapters, including “CPAP Masks: What Can Make Or Break You,” “The One Solution For All Your CPAP Problems,” “Your Top 15 CPAP Problems, Solved,” “Your 7-Day CPAP Success Program,” and many more. At the end of the day, Dr. Park believes that with his assistance, you will increase your chances of a good night’s sleep that has eluded many CPAP users for so long, and while none of us at CPAP America are his clients, his track record speaks for itself. Dr. Park is board certified in otolaryngology and sleep medicine, and his blog was voted one of the “Best Sleep Disorder Blogs of 2016” by Healthline.com, “Best of Doctor’s Websites 2016” by Pacific Medical Training, and a “Top 10 Online Influencer of Sleep Discussion” by Sharecare.com. The Foreword to Totally CPAP is written by Kath Hope—Founder and CEO of Hope2Sleep Charity, and the book has received endorsements from Edward Grandi, Former Executive Director of the American Sleep Apnea Association. Whether you’re just starting out using CPAP therapy, you are trying to improve it, or you’re looking for CPAP alternatives, it’s all covered in Totally CPAP. The book is available on Thursday, June 22. Click here!